Located just one mile from the new Royal Norwich Golf Club in Lenwade, we will soon offer dedicated golf storage units, perfect for keeping all your equipment safe and accessible. 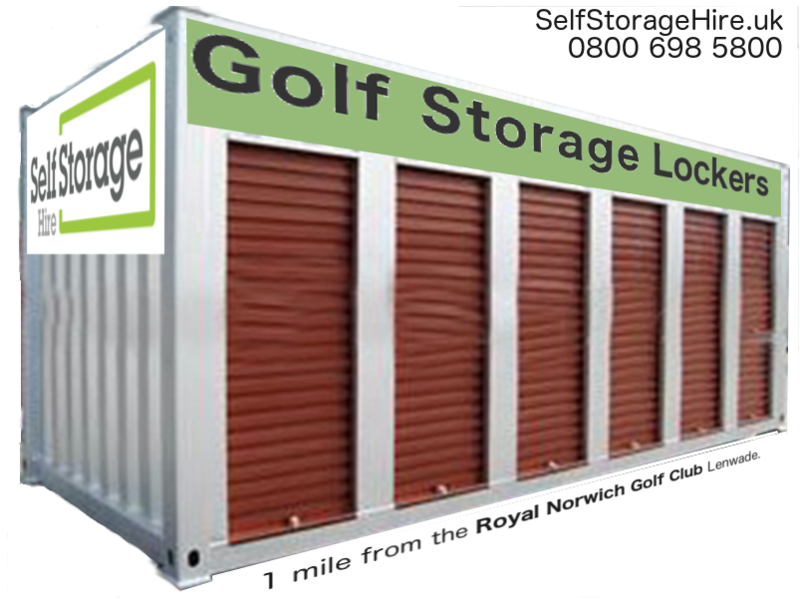 Our secure lockup units enable you to store all you need close to the course so you are ready for all weather and playing conditions. Great for a sneaky ‘stealth game’ whenever you can get away. We are currently taking reservations for our first batch of golf lockers so if you may be interested please contact us. You are under no obligation, we will just get in touch when we have availability and offer you first refusal on a unit. Prices from £50 p.c.m. for a 2.2 square meter Golf unit.